Inspiring and fun medical advertising unlike any other. When designing for children's care, we always want to remember that kids do the craziest things! Keeping it fun and unexpected speaks to those who have children who one day will need care. 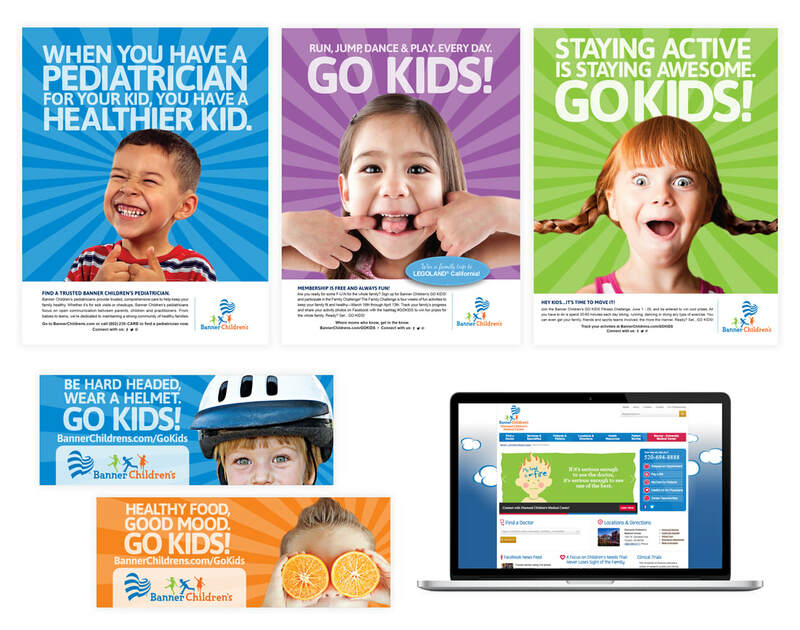 Bright photos with bold colors and lines lends itself to this non traditional health care campaign for kids. 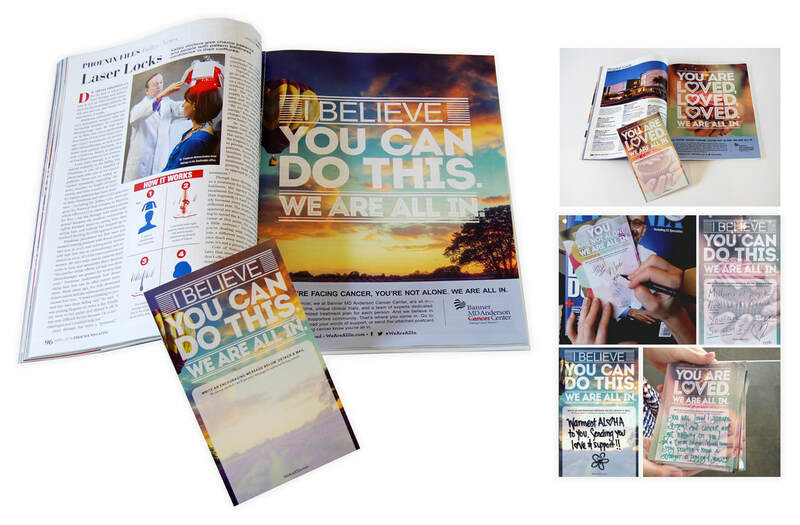 This unique campaign for cancer treatment focuses on a call to action to inspire cancer patients to heal. The calm color palette, as well as the beautiful photography mixed with the unique handwritten messages, is the heart of this successful project. The whole idea here is to portray that you may not be a typical patient, but that's ok because we are not a typical healthcare provider. The strong message and bold photos of this campaign clearly empowers people of any age to live the life they desire and know they have the backing of their healthcare provider. Opening a new facility is an important component of being a healthcare provider. For this one, we wanted to use pastel, calming colors to portray the spa like feeling this state of the art medical center provides for expectant mothers and their children. 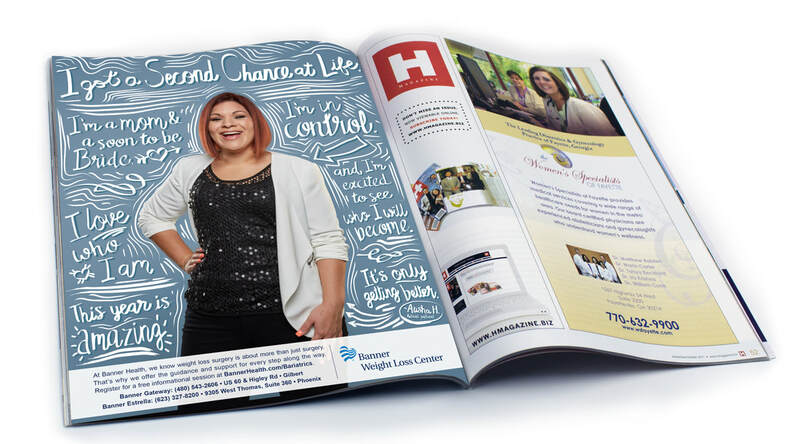 This campaign for a bariatric center lets potential patients know that the number on the scale is not as important as their story. 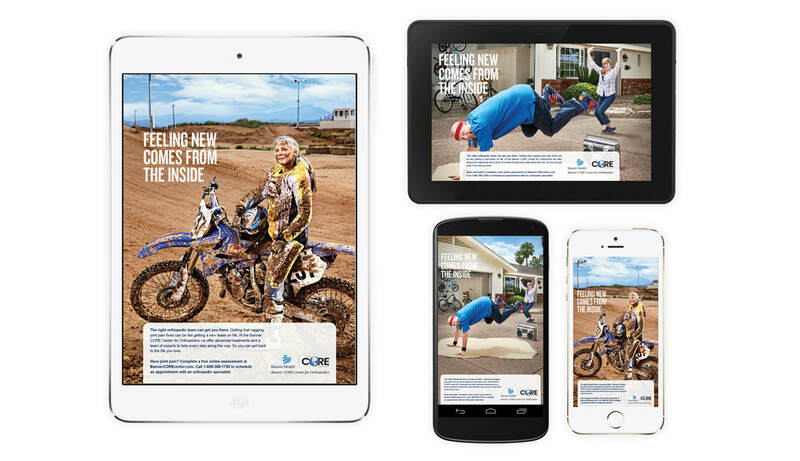 This ad focuses on who the patients are and celebrates all the good they have in their lives. 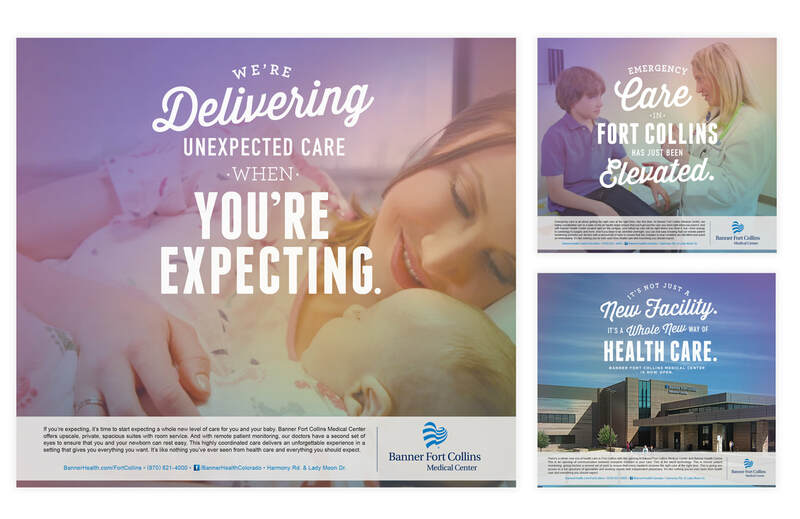 While these campaigns each have their own unique feel, they all achieve the overall message that Banner Health is a fun and inspiring healthcare family to be a part of.